Midfielder Ryan Edwards hopes signing for Partick Thistle will kick-start his career and boost his opportunities at international level. 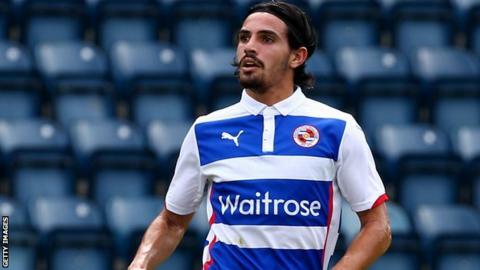 Australia Under-23 international made only seven appearances last season for Reading and was released in the summer. He has joined Thistle until the end of the season. "The senior national team and the Under-23s have said as long as you're playing for your club and doing well you're in with a shout," he said. "I owe it to the Under 23s manager for picking me for the last two camps without a club and that's definitely helped me get my move. "So I'm appreciative of that, but finding a club now and playing for Partick Thistle will definitely help me in international games." Edwards is familiar with Scotland as he has a number of connections with the country through family and his agent. His father Alistair Edwards, an Australia international striker, was at Rangers as a youngster in 1987. Edwards' grandparents are from Fort William while his agent, Simon Miotto, previously had spells as a goalkeeper at Raith Rovers and St Johnstone. And the midfielder also knows several Australians currently playing their club football in the Scottish Premiership. "It was just about finding my next move and I worked closely with my agent who used to play in Scotland," said the new Jags player. "With my dad having played for Rangers I always had a feeling that I wanted to come to Scotland and play here. "I've spoken to Jackson Irvine at Ross County - I'm close with him. Adam Taggart's just moved to Dundee United as well and Celtic's Tom Rogic I've known for a number of years. "It's a good stepping stone, I'm going to be a Scottish Premiership player. I had a period of time where I was without a club and wondering where I was going to next. "It's just a matter of getting into the first team, do well for Partick Thistle and hopefully either stay here for longer or move to the next big thing."